Cheap flights from Brussels to Johannesburg from €359 return! Cheap non-stop flights from Copenhagen to Chengdu, China already €348! Cheap flights from Brussels to Johannesburg, Republic of South Africa from €359! Except an amazing offer from Italy to South Africa we have another competitive solution based on current Lufthansa and Swiss sale. (Star Alliance). Price shown is including all taxes, onboard meals and checked-in bag. Want to experience service of top ranked carrier and fly to South Africa also in high season do not miss this Swiss and Lufthansa promotion and book cheap flights from Brussels to Johannesburg. Lufthansa / Swiss promo sale offers the cheapest flights from Brussels to Johannesburg from 21st of April to 27th of May or 27th of October to 20th of November 2018. Blackout period around Easter and Christmas Holidays. At this moment good availability throughout entire validity of the tariff. Max stay 3 months. You can book cheapest flights Brussels Johannesburg by 26th of March 2019. Below you can refer to our booking as well as few travel samples. 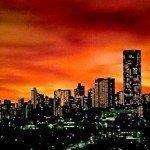 Johannesburg is South Africa’s largest city. Johannesburg has a population of 9.6 million people (South African 2011 census), half of which live in Soweto and adjacent suburbs. The majority of the population is formed by South Africa’s black residents who mostly live in Soweto, while white residents amount to 1,333,790 (although the number is likely to be higher). There are also around 300,000 residents of other descent. Unlike other South African cities, no language group dominates, although English is the established lingua franca. If you have booked these cheap flighs from Brussels to Johannesburg you can read more about this city at Wikitravel. Travel dates. : Compare the cheapest flights Brussels-Johannesburg at website of the carrier. Need affordable hotel in Republic of South Africa book your accommodation via Booking.com or Hotels.com. If you have booked these cheap flights from Brussels to Johannesburg you can also compare best prices for car rental in this destination via Rentalcars.com. Booking sample of cheap flights from Brussels to Johannesburg from €359 return! Your outbound date from Belgium to Republic of South Africa would be on 10th of May. Inbound flight from this South African country back to Brussels on 26th of May 2019. Take advantage of this latest promotion from Belgium to Thailand and book the cheapest flights from Brussels to Johannesburg!